Standing out from the crowd at any trade show can be difficult. If you have invested in a booth and have staff in attendance, you want to make sure you make the most of the opportunity. Modern trade show displays can make all the difference when you need to grab attendees’ attention and keep it long enough to sell them your products and services. Remember; in the trade show environment, you are effectively competing with every other organization for attention and time. Successful trade show displays often go above and beyond the usual banners and signs and create strong displays with promotional items that capture people’s interest. At Southern Star Signs & Graphics we offer everything you need to make your trade show attendances effective and get people to your booth. It helps to have a coherent branded booth with strong visuals that draw people in. All the enthusiasm in the world won’t help if you can’t capture people’s attention. Banners and signs are staples of trade show displays, and ours come in a number of different sizes and materials to meet your requirements. Easy to pack and simple to set up, our banners and signs can be made in a design of your choosing to promote your products, your brand or any special offers that may encourage traffic to your booth. A strong booth display can really make a visual statement at any trade show. Design and engineering of trade show displays have come a long way and we can help design and create a trade show display with tailored functionality and branded specifically to your company. Meeting signs branded in your company’s colors and typography can be created for use outside meeting rooms or conference entrances. 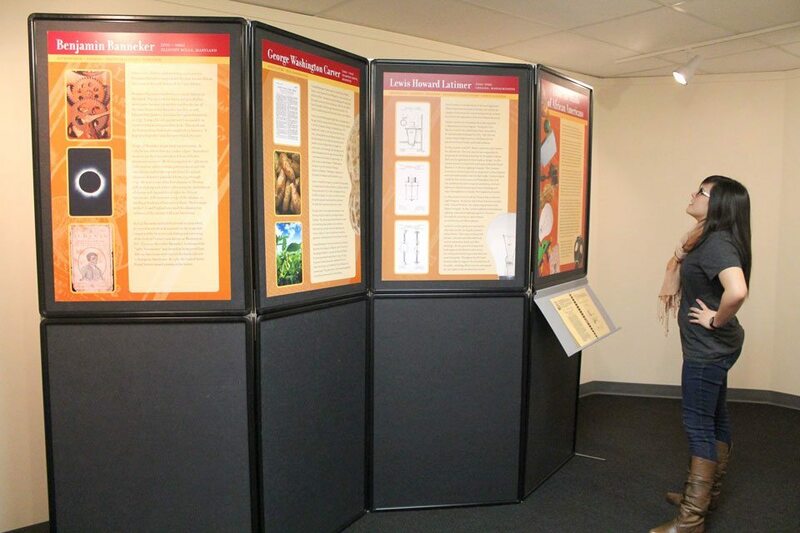 We can create high-resolution visuals to add to panel displays for corporate events and trade shows. Pop up display signs and banners are hugely popular and can be created in a variety of sizes to maximize impact. 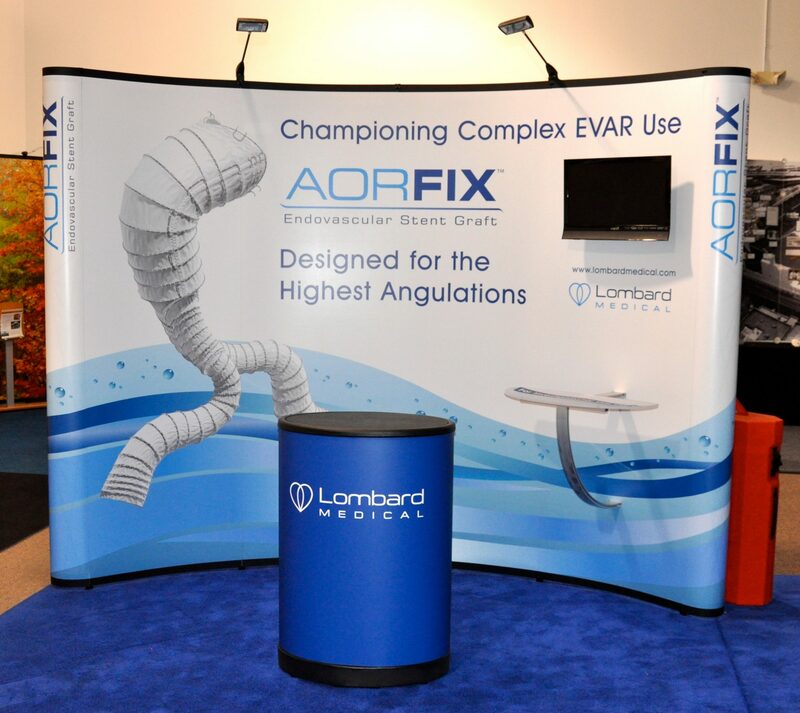 The popularity of pop up displays is due to the fact they are often very effective at branding a stand and are both sturdy and easy to assemble. Using our design and graphics services to enhance the impact of the display will increase their impact even more. 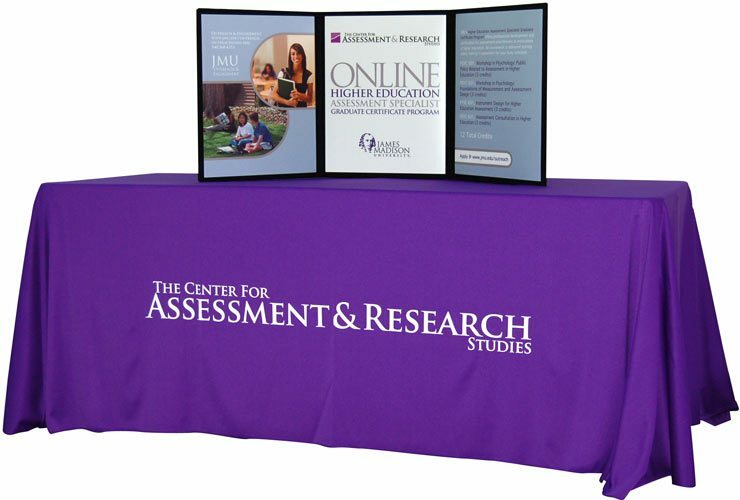 For trade shows where you only have a table to promote your brand, we can create high-quality graphics for tabletop displays that make the most of your limited space. A strong graphic can help your company stand out from the crowd. Trade show displays aren’t complete without a range of interesting promotional items. It is well-known attendees love them and businesses always use them to attract people to their stands. The most difficult task is finding items that differentiate your brand from the other companies attending the trade show. Our range can help you gain the edge over your competitors. If you have sponsored an event or are attending a sporting event as a company, we can create the necessary signs.